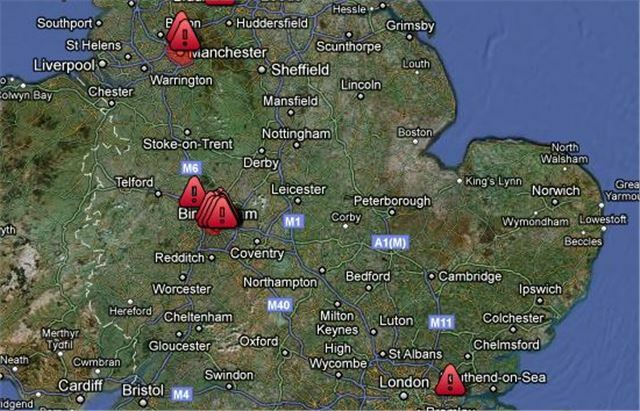 Data released by the Motor Insurers Bureau reveals 20 hotspots for uninsured drivers. The drivers in these areas over represent the national average level of uninsured drivers by as much as eight percent. Ashton West, Chief Executive at MIB said, “We cannot stand by and let uninsured driving continue, otherwise the honest motorist will keep paying the bills for the injury and damage caused to people and property. The map below plots the top 20 hotspots for uninsured drivers by postcode. Birmingham, West Yorkshire and Manchester are the worst areas.